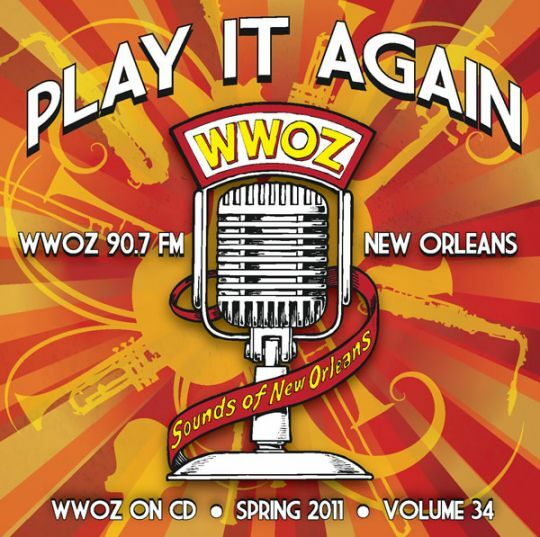 Each Pledge Drive we bring you exclusive CDs of live recordings from events like Jazz Fest and French Quarter Fest, with music you can't find anywhere else. 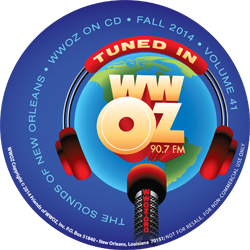 These compilation CDs are our special gifts to you when you become a member of WWOZ at the $120 level or above. Get 'em while you can — each CD becomes a collector’s item, since they're available only during the Membership Drive in which they come out. » Check out audio previews off all 9 tracks on CD #41, Tuned In! 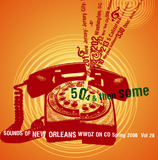 Lawdy, Lawdy, It's CD #40! 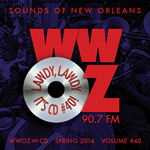 » Track list and more about Lawdy, Lawdy, It's CD #40! » Track list and more about Face the Music. 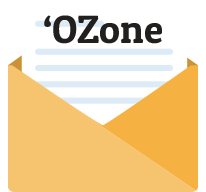 » To tantalize your ears with a wee treat, we have a 30 second sample of all the songs on No Cover Charge. » Check out the current track list released! More to come! 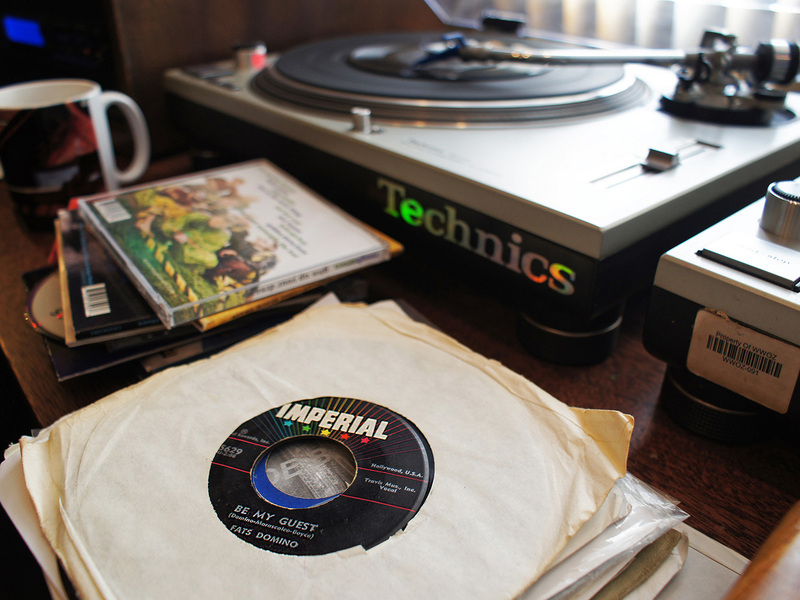 How many Shoulda Been There moments were you fortunate enough to have experienced on the 90.7 airwaves over the years? How many incredible Jazz Fest performances have you been able to experience on a day you could not make it out to the Fair Grounds; maybe it was another day when the irrepressible and always spontaneous Dr. John was in the studio? And how many times could you just not tear yourself away from the radio when the inimitable Snooks Eaglin closed out the Fund Drive on Billy Delle’s Wednesday night show? 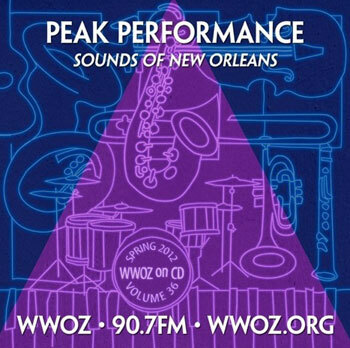 Containing some of the best music recorded over the last 30 years that WWOZ has been spinning vinyl and recording live broadcasts. 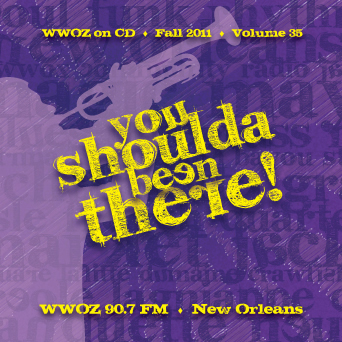 Featuring June Gardner, Cookie Gabriel & Lars Edergran Jazz Band, Eddie Bo, Germaine Bazzle and many more, take a walk down memory lane with WWOZ, listening to your favorite musicians playing some of their best performances. 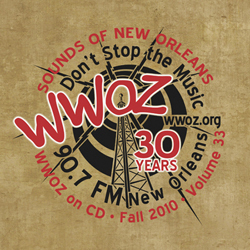 Celebrating WWOZ's 30th Anniversary, this compilation CD includes tracks from Allen Toussaint, Betty Harris, Roy Hargrove Big Band and more, recorded live by 'OZ. 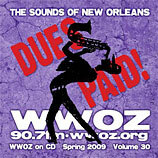 It's available only to new or renewing WWOZ members during Fall 2010. 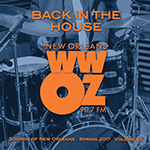 This 'OZ Compilation CD contains live tunes by Irvin Mayfield, The Lee Boys, Papa Grows Funk, and many more amazing artists, recorded live by WWOZ. 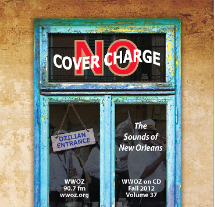 Available only to new or renewing WWOZ members during Spring 2010. 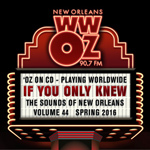 This 'OZ CD is filled with rip-roaring music from local and national acts, recorded live by WWOZ. 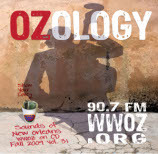 Available to new and renewing WWOZ members during the Fall 2009 Membership Drive. Your collection will not be complete without this, our 30th CD. 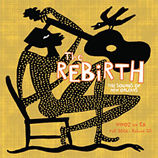 Included on this CD are The Dirty Dozen Brass Band, Amanda Shaw, Eric Lindell, Paul Sanchez & the Rolling Road Show, John Boutté, Bruce Daigrepont, The Dynamites featuring Charles Walker and Big Sam, and Walter "Wolfman" Washington. 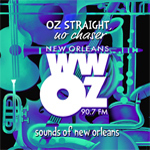 Another hot 'OZ CD chock-full of live performances recorded at Jazz Fest and other live events here in the city and from our mobile studio. 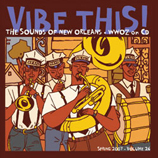 Included on the CD are songs by Otra — New Orleans' own Afro-Cuban jazz and grooves — recorded live at the 2008 Bayou Boogaloo, soul and blues artist Roy Young, recorded live at the 2008 New Orleans Jazz & Heritage Fest, Dwayne Dopsie & the Zydeco Hellraisers, recorded live at the 2008 French Quarter Festival, Shamarr Allen, The Bad Plus, Groovesect, Grupo Fantasma, Simone, and Toubab Krewe. 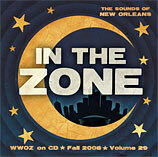 Click here for the complete track listing of In The Zone. 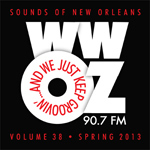 We’ve waited a long time to be able to share WWOZ CD #28 with you, and oh, what a CD it is. There are some blues to start with from perennial Piano Night participant and longtime Howlin’ Wolf sideman, Henry Gray. Bettye LaVette’s up next, and she’s not shy singing about her man. We have also included some wonderful jazz sides from percussionist Bill Summers, bassist Roland Guerin, and pianist Peter Martin. Dan Dyer kicks out a great version of Dr. John’s masterpiece, “Walk on Guilded Splinters,” and David Torkanowsky and George Porter Jr., take on the Earl King classic, “Big Chief.” We finish up with some fine funk from Joe Krown and go back to our roots with saxophonist and Mardi Gras Indian Chief Donald Harrison’s version of “Shallow Water.” All in all, it was well worth the wait. Lucky Peterson, Irma Thomas & the Professionals, Jason Marsalis, Maurice Brown, Joanne Brackeen, Sharon Jones & the Dap-Kings, Marva Wright & the BMWs, Dr. Lonnie Smith, Topsy Chapman & Solid Harmony, and Burnside Exploration. 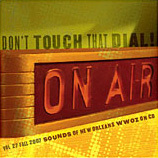 Check out song samples from Don’t Touch That Dial!  Vivaz, Christian Scott, The Tremé Brass Band, Big Sam’s Funky Nation, Soul Rebels Brass Band, Shannon Powell, Doreen Ketchens, The Hot 8 Brass Band, and Trombone Shorty & Orleans Avenue. 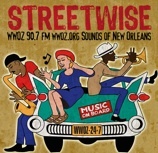 Teedy & Umami, The Jonathan Batiste Trio, Cowboy Mouth, Walter “Wolfman” Washington, Charmaine Neville, Matt Lemmler, Arturo O’Farrill Quartet, Paul Longstretch, and John Boutté. Thank you to Mark Andresen (illustrations) and Donna Musarra (design) for the CD art work.